A phone outage last week in Lake and Cook Counties revealed a potentially dangerous communications weakness along Lake Superior's north shore, prompting local officials to call for an improved network. Phone and internet service were lost for up to twelve hours Tuesday, Jan. 26, when a fiber optic cable in Duluth broke down, possibly from the heat of nearby steam heating pipes. The disconnect had national security implications, as the U.S. Border Patrol had to set up a radio version of a bucket brigade through three Minnesota counties to relay communications to their North Dakota regional headquarters. The burnt line cut off service 150 miles up Lake Superior's north shore, through Two Harbors, Silver Bay, Grand Marais and other communities. Local phones worked, but only within individual exchanges, while long distance, internet and cell phone service disappeared. "We just have gone through an emergency that really...shows a glaring weakness in what we have up here for cell phone, internet, emergency services and our regular phones," Lake County Commissioner Paul Bergman said. "The 911 calls up here go through a trunk line down to Duluth," Lunde said. "Duluth does what ever they do through the telephone communications system to identify the calls, the 911 call, and then they send it back to our dispatch area." With no 911 service, county officials turned to volunteer firefighters to field emergency calls from normally un-staffed fire halls. Fire truck radios relayed the information back to Grand Marais. 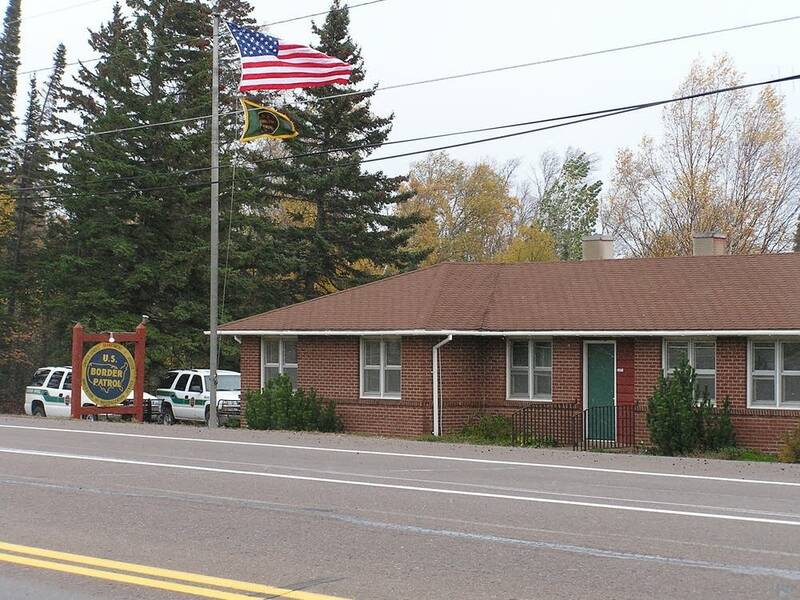 Ham radio operators provided a backup way for the Grand Marais hospital to consult with Duluth medical facilities. U.S. Customs and Border Protection officers received help from their counterparts in Canada, according to Public Affairs Liaison Chris Misson. "We did have access to two way radios." Mission said. "Our counterparts on the Canadian side were nice enough to allow us to use their phone lines, and we were able to use a satellite phone until phone lines were restored." Qwest Communications officials first thought the line was fried by a steam leak underneath a Duluth street. However, Jerry Pelofske the manager of the Duluth Steam Cooperative Association, said that didn't happen. However, the outage occurred, authorities want to know why all that service was lost when a single fiber optic line went down. "In this day and age it probably should not even happen," said Jim Wiinanen, Cook County's emergency management director. For about a decade, he said, officials have wanted to bring broadband service to most of the very rural and remote county. "I think it should prompt the powers that be, whether it's legislature or local governments, to realize that yeah, we're on the right track trying to improve [these] communications," Wiinanen said. "Maybe it'll bump us along and get it going a little sooner." Local officials hope to use the outage to lobby for better communications, such as county-wide broadband. Bergman also has appealed to U.S. Sen. Amy Klobuchar and U.S. Rep. Jim Oberstar, DFL-Chisholm, for federal help building a system that includes a backup to divert signals around a break like the one in Duluth last week. "Our greatest concern was not that the line was being severed," Bergman said. "It's that they did not have the redundant loop built into their infrastructure to do the rerouting." He hopes the latest outage will convince Washington to provide funding for a fix. The county is seeking federal approval to combine federal stimulus grant money with loans from the federal Rural Utilities Service. Meanwhile, Qwest Communications isn't sure what caused the break. The company is bringing additional experts to Duluth to investigate, spokeswoman Joanna Hjelmeland said.